Security Memetics: Can They Really Be Called Backups Then? Code Spaces, a code sharing service, was basically wiped out by a cracker who broke into their Amazon Web Services account. 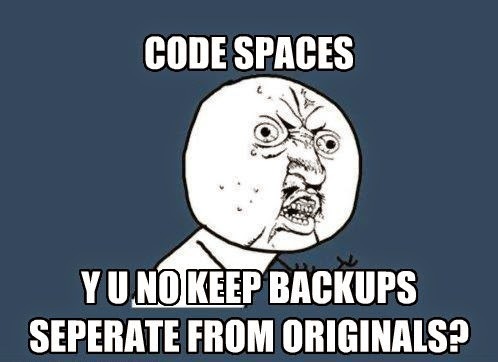 Them's the breaks when you keep your backups in the same place as the originals.